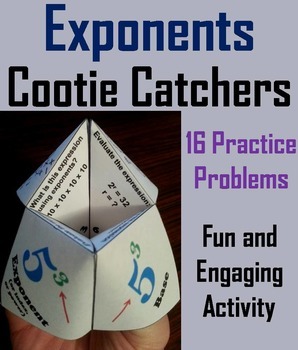 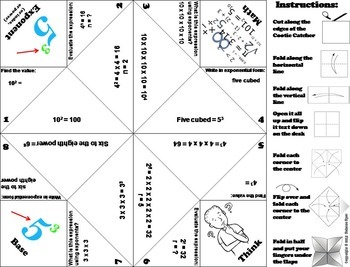 Exponents: These exponents cootie catchers are a great way for students to have fun while they practice their skills with exponents. How to Play and Assembly Instructions are included. 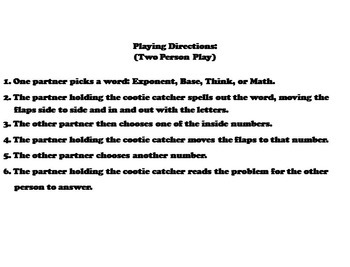 Answers for all questions are included.